You are an experienced and exceptional in-home age care worker or live in carer. Clients and their families comment on how thoughtful you are and appreciate your naturally caring disposition; that’s why seniors request you time and time again. It’s time for you to take a step up by increasing your take-home pay and being paid to attend accrediated high quality brand-name training. 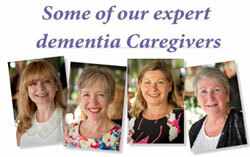 Partner with Sydney’s best in- home care provider. Call Ros today after you have read about us below. Take the first step and check your eligibility and then read the 11 reasons to choose to work with Daughterly Care. We currently have Pay by the Hour Care Worker jobs on Sydney’s Upper and Lower North Shore, specifically in Chatswood, Greenwich, Killara, Hornsby, Lane Cove, Lindfield, Mosman, Northwood, Pymble, Roseville, Ryde, St Ives, Turramurra and Wahroonga and on the Northern Beaches. We have jobs for Live in Carers on Sydney’s North Shore, Northern Beaches and Eastern Suburbs, specifically in North Balgowlah, Lindfield, Wollstonecraft, Darlinghurst and Kirribilli. We particularly need Live in Carers for Friday, Saturday, Sunday and Monday. We also have vacancies for Live in Carers that are able to work during the week. Caregivers like you were either born naturally caring or life’s circumstances such as caring for your own parents shone a light on your caring, empathetic and emotionally intelligent nature. One thing we are certain of is that ‘training’ cannot make people care the way you do – for you it’s natural and you really enjoy helping, enabling and assisting Older people because you enjoy people – full stop. You are mature or if you are a younger person, you have been blessed with an ‘old soul’ with life experience that gives you the ability to enjoy relating to people of various ages and from all walks of life. You have ‘uncommon common sense’, genuine compassion and, a real regard for seniors and Elders particularly for their well-being. You enjoy providing enabling, re-enabling and restorative aged care. You are fit and full of positive energy. Age is no limit to providing in home aged care duties and tasks. In fact, your maturity is an advantage when providing premium and empathetic home nursing care. You enjoy people for who they are. You are an open and accepting person who enjoys the goodness and the differences in each of us. Helping others gives you deep satisfaction and your clients certainly appreciate what you do with, and for them. Caring, assisting and enabling is what you do best. It’s who you are and what you enjoy doing. If this describes you… then we want you! Daughterly Care is growing and is seeking exceptional Caregivers and Live in Carers like you – apply today. I would like to Thank You for giving me the chance to work for Daughterly Care. I thoroughly love my job. There are some clients that have become very dear to me. They have shared stories from their past and the pure joy of having companionship, warms my heart. Being a caregiver for seniors, no doubt has been my calling and I look forward to going to work each day. I am proud to work for a company that not only looks out and looks after their employees but stresses a great deal of concern and support to their clients. I have had two clients, in particular that have shared their views and appreciation towards Daughterly Care. As an expat, I feel that everything has now fallen into place for us. Life is good! 1. for 38 hours per week. 2. for ongoing casual work (less than 38 hours per week) to manage around your children, grandchildren or parental care commitments. We understand that your family and life is important to you. After all, if you can’t care for your family first, how can you care for others? 3. to step into semi-retirement and want to stay connected to life outside your home and family, and earn $18,200 tax free a year by working for Daughterly Care or earn $36,750 tax free a year by working for Daughterly Care Community Services. 4. for work to supplement your retirement and re-join the workforce to stay vital, fit, socially connected and earn some spending money whilst receiving a part pension. Then Daughterly Care is for you! Registered Nurses often join us at Stages 3 and 4. You have probably been recommended to Daughterly Care or know by our reputation that we are a premium service provider with highly professional and exceptionally caring Caregivers. We are in-demand and therefore always wanting to meet gifted care workers like you. As a Carer, you will be providing support and enable Older people to live ‘their way’ with dignity and independence in their own home. If you’re exceptional, joining us is quick and easy. Save time, take step one and check your eligibility to apply. Your business is the loveliest place I have ever worked (I’m an Registered Nurse) and I’m proud to be a part of Daughterly Care. Thank you for being there for me, both professionally and personally. Thank you Kate for seeing me at your office when I was so distressed last year and for seeing me for who I am and understanding. I really feel like I won lotto when I gained employment with Daughterly Care Community Services! I have 3 babies – Laetitia, Luke and DC. I’m one hell of a lucky woman! I am committed to providing the highest quality care through kindness, consideration and compassion to all of my clients. This job is profoundly rewarding for me and I’m grateful to be able to make a positive difference in people’s lives. I hope you and your family are healthy and happy. My best and kindest regards to you both. Thank you for being both patient and informative about the Salary Packaging today. I appreciated your guidance and I was pleased to meet you Vera! What a great opportunity for all the ladies who work for Daughterly Care Community Services! After studying for “aaaages” about improving the quality of life (QoL) for people with dementia, I must confess I am looking forward to improving my QoL with the tax savings. 4. Email the application form and include the required documents to ros.atkinson@daughterlycare.com.au. 5. 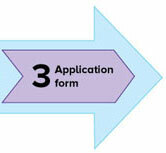 Your application will be acknowledged and reviewed after the first business day it is received. You will be notified within 5 working days. Should you not hear from us after this time frame please re-send your application. If your application is successful, we will need to meet so here are the directions to our Head Office located in Narrabeen, on Sydney’s Northern Beaches. I didn’t have job satisfaction where I was so I made the transition to Daughterly Care. Daughterly Care are a company that really ‘gets elder support’, in ways that respect and empower the Elders’ lives no matter what their ailments are. I’ve worked with Daughterly Care in palliative, day shifts, overnight care; active and non-active. I have provided extra care worked in hospitals, nursing homes and in private homes and now I do live in care. It’s always a joy to care for people in need. My training is constant whether it’s in the office, online or at seminars. I have never worked for a company that ‘gets me’ and ‘gets Elder care’ quite like Daughterly Care does. View Wendy’s profile by clicking here. “The resource that I have personally found beneficial in our community throughout Sydney’s Northern Beaches, North Shore and Eastern Suburbs is Daughterly Care. This dementia and Elder care provider, assists families to have their Loved Ones stay at home for as long as possible with the assistance of Daughterly hearted people. Private and referral based care is offered, ranging from hourly to 24 hours of care. This service allows family members to have respite from the ongoing care of their Loved Ones and ranges from outings, appointments, cooking and light house work, hospital visitation and transporting, and palliative care. In addition, Nursing Home visits to assist with meals and personal care, post-operative in home support and most other ‘Daughterly’ based care needs that are required. Thank you both so very much for the wonderful support you gave me today. This is probably the only time I have called in 10 years with such a difficult situation and it is wonderful knowing you are there when we most need you.